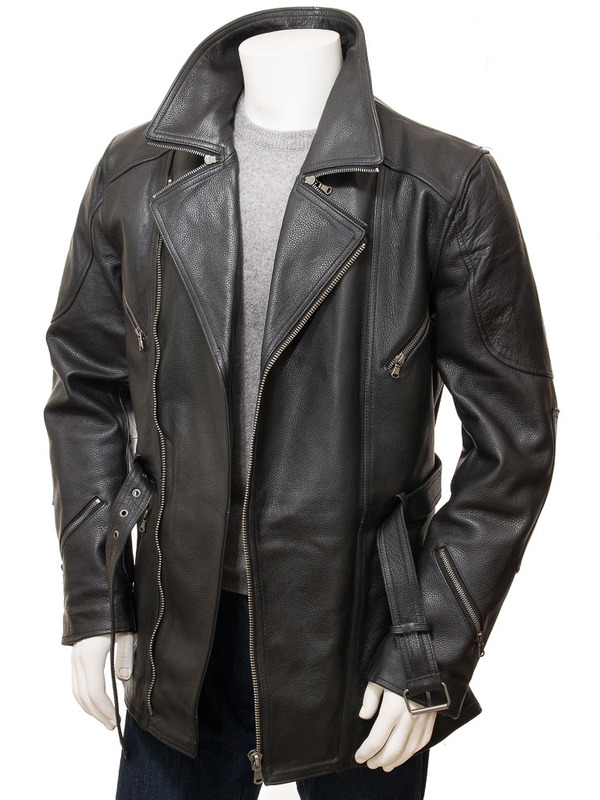 A tough, durable black leather jacket based on a heritage design. 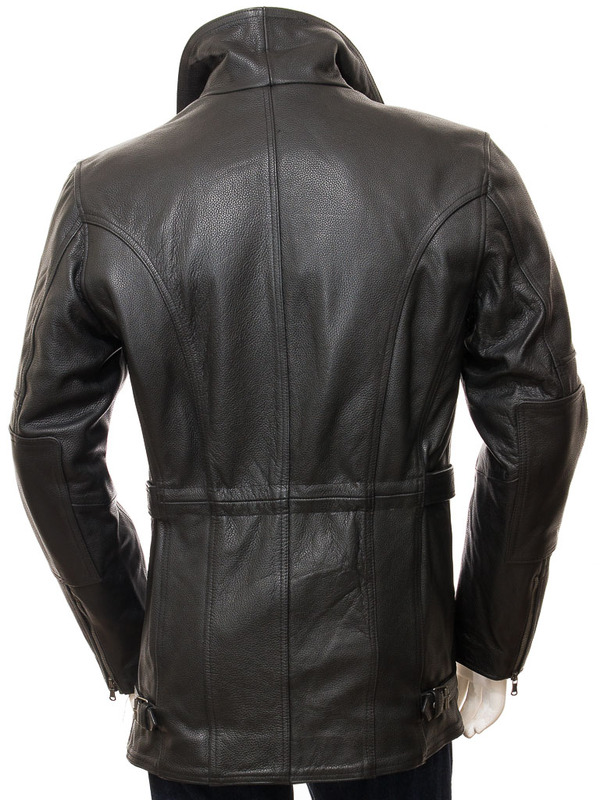 You will have seen jackets like these in photos of motorcycle riders and aviators from the 1930s. 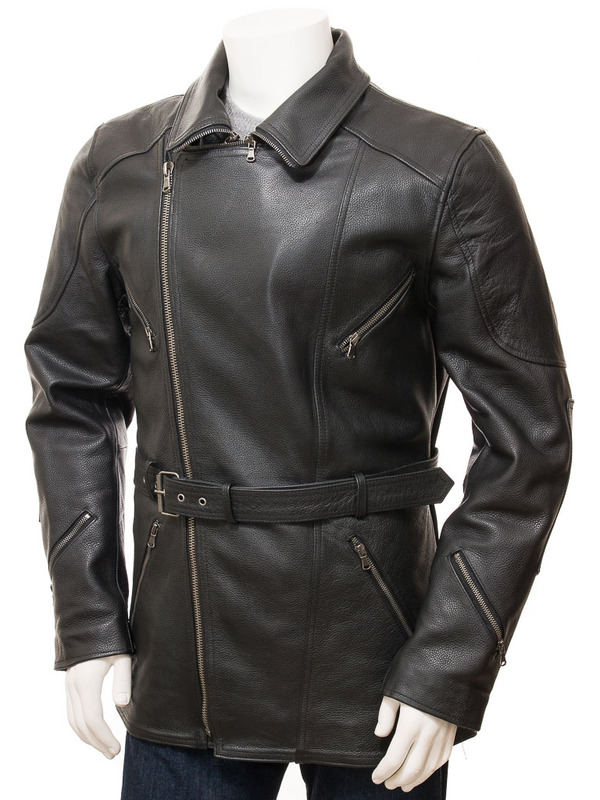 Made from thick cow hide and a longer length to protect the rider from the elements plus a belt to cinch in the fit around the waist. The Highweek recreates these elements with the addition of reliable and smooth YKK zips. The style is double breasted with the YKK zip front extending up to a wide notched lapel. 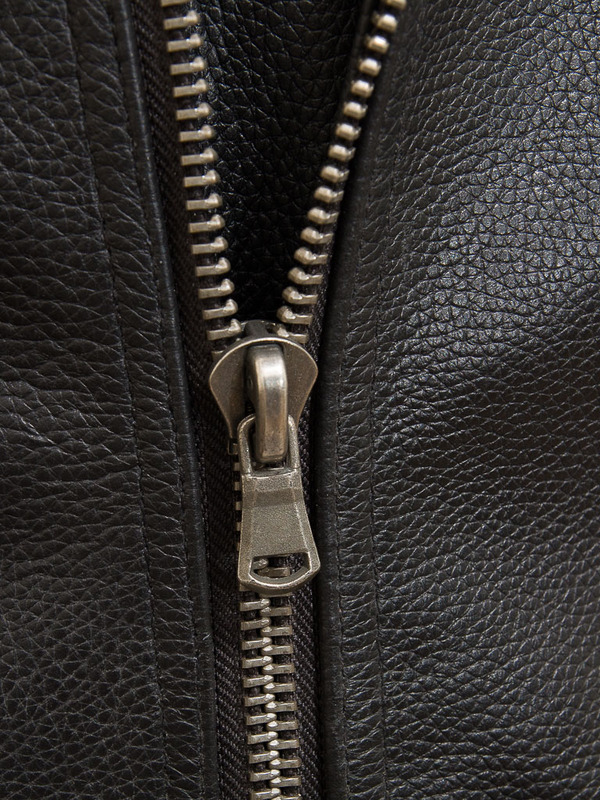 There are a myriad of pockets, all zipped. Two at the chest, two more on the hip and small key pockets on each forearm. The cuffs themselves are zip gauntlet style. The belt is stitched into side seam for security and there are buckled straps near the hem to allow adjustment to the flair of the jacket. 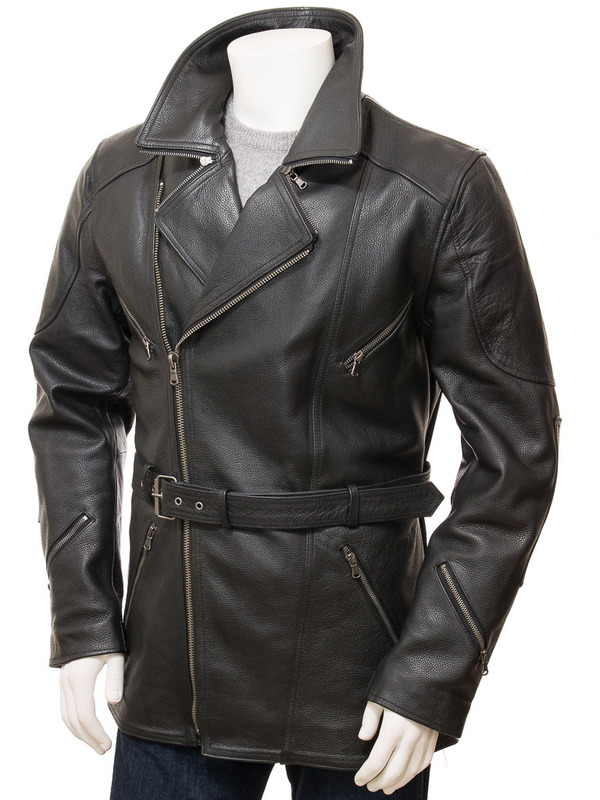 The interior is fully lined in poplin and incorporates one leather trimmed breast pocket.